Acuter Pro-Series MH5 5mm Eyepiece: This eye piece offers fixed magnification and 5mm of focus to the Acuter spotting scope series. Acuter MH5 offers compatibility with Acuter pro series 65mm/80mm/100mm spotting scopes. The scope magnification depends upon the diameter of the objective lens of the scope, that are, 65mm offers 80x, 80mm offers 100x and 100mm offers 108x with this eye piece. Acuter MH5 eye piece offers greater eye relief and its fold back rubber eye cups facilitates the eye glass wearers. 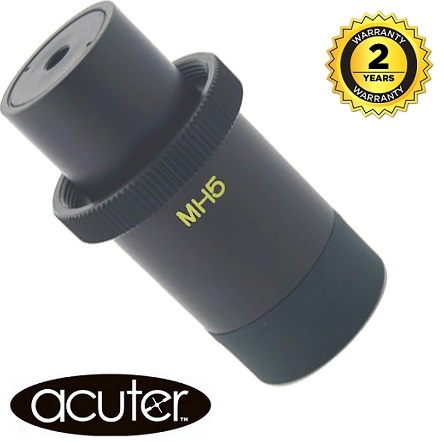 For more information about, Acuter Pro-Series MH5 5mm Eyepiece website. The lens has very good magnification, but is not clear enough for my liking on objects very far away.